THE 3 DAY / 2 NIGHT HIKE FROM LISTVYANKA TO BOLSHIE KOTY. BY FEET THERE, BY FEET BACK. Make sure you’ve got a TICK VACCINATION if you plan this hike in early-mid summer! This is an active tour for outdoor seekers. It involves hiking 18-20km along the lake Baikal shore with ups and downs, staying in a small Siberian village for a day and returning back by foot. Experienced local guide carries all food and cooks all meals on fire. This tour can be challenging for unfit people! The tour starts and ends in Listvyanka, a village on lake Baikal shore, 70km from Irkutsk. You can get there by public minibus, departing almost every hour from the bus station (120R one way) or a PRIVATE CAR TRANSFER can be arranged upon request (3000R per car). You will be met by your guide in a certain place in Listvyanka to begin the hike. Your guide is a biologist by diploma and a hiker by nature named Valera Semeykin. He’s been working as a guide since 1981. His English is enough to get around. The trail is located on a slope and it has countless uphill and downhill sections. You’ll be walking through the birch tree and pain tree forest and seeing lake Baikal in its wild beauty (spoiled somewhere by litter unthinkingly left by wild Russian tourists. En route: lunch cooked on fire. It takes 6 hours to cover the 18 km distance for a fit person! Eventually, you will reach a little village called Bolshie Koty (meaning Big Boots in Russian). In 19 century that was the place to wash gold. The gold washers wore big boots to be able to stand cold water. Presently, Irkutsk State University runs a summer bio lab for its students in this village. This settlement is inhabitant by 300 people. Strangely enough it has no road connection with Listvyanka or any other villages. Surrounded by deep forest from one side and severe lake Baikal from another, villagers can only reach the main land by water or ice. There is a little shop in the middle of village with good range of food, smoked Omul fish, pies and puffs with different fillings, beer and bread. It also has a table to eat inside. 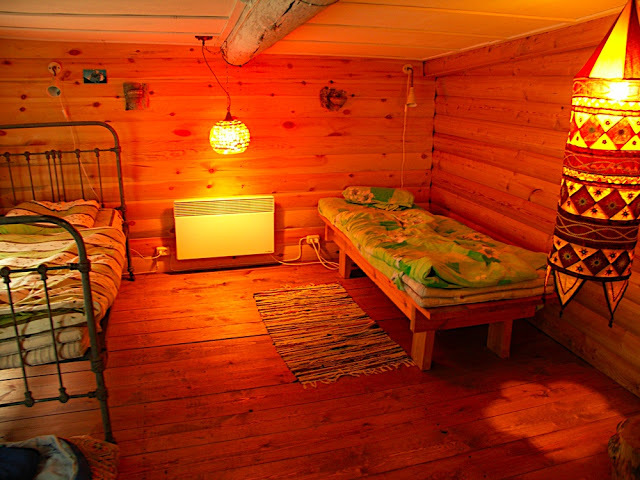 Overnight in a LESNAYA 7 HOSTEL: few nicely decorated wooden cabins with lake view. Running water, shared hot shower. Outside flash toilet. Full board. Your guide cooks for you breakfast, lunch and dinner. Another half a day of pleasant walk to explore the surroundings of the village. You will walk to the top of the cliff called Scripper. It is 2-3 hr walk North of the village along the shore. The view from the cliff is really breathtaking. Russian banya (steam sauna!) can be arranged for extra charge of 1000R per group. Breakfast. Hiking back to Listvyanka. please ask the price if the group is bigger! Meals as noted: Day 1 L, D. Day 2: B, L, D. Day 3: B, L.
WHAT TO TAKE sun glasses, appropriate cloth.